23andMe is an online service. You need a computer with Internet access to use our service and to view your genetic data. Throughout our website, we provide detailed information regarding the genotyping process and what you can expect or may experience from our service. Please review this information prior to purchasing. Your placement of an order from 23andMe constitutes your acceptance of our Terms of Service and your agreement that the policies below apply to your order, so be certain you understand them before placing your order. To receive a refund for an unused kit, you must notify us within thirty (30) days of placing your order in 23andMe’s online store that you request a refund and confirm that you have not yet shipped your saliva sample to our laboratory. Please review the refund restrictions and exclusions. In the event that you have had two sample failures, we will refund the purchase price of your kit minus shipping and handling charges. Learn more. We will not issue a refund if (i) more than thirty (30) days have passed since your order was placed or (ii) if your saliva sample has been received at our laboratory. 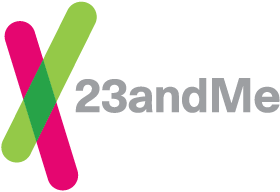 For kits purchased at a conference or event, 23andMe will only refund the lab fee paid directly to 23andMe. In the case of kits purchased through an authorized retailer, please consult the retailer’s refund policy to determine if your kit is eligible to receive a refund. If a purchase of 2 or more kits is what qualifies your order for a discount and you request a refund on part of the order or if a sample fails analysis twice, the discounted kit price will be refunded first.